In cinemas this week: The Grand Budapest Hotel, Muppets Most Wanted and Divergent. 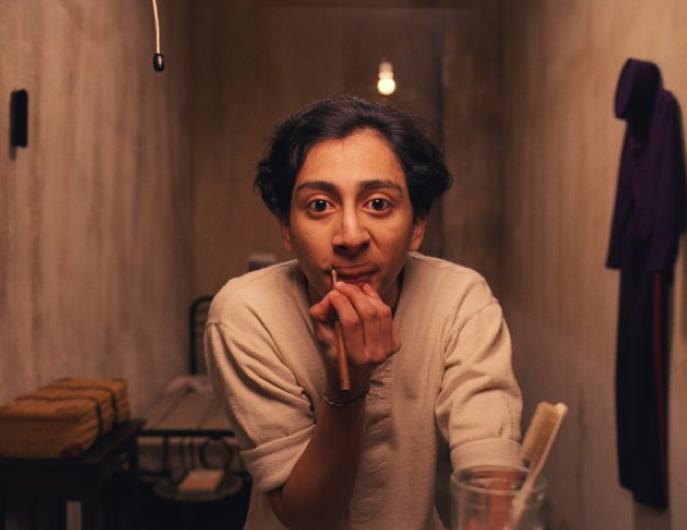 The Grand Budapest Hotel: Recounts the adventures of Gustave H (Ralph Fiennes), a legendary concierge at a famous European hotel between the wars, and Zero Moustafa, the lobby boy who becomes his most trusted friend. The story involves the theft and recovery of a priceless Renaissance painting and the battle for an enormous family fortune -- all against the back-drop of a suddenly and dramatically changing Continent. Review by Cam Williams, Graffiti With Punctuation. Muppets Most Wanted: The Muppets are on a world tour in their latest big screen adventure where they've been visiting Europe’s biggest cities. They find themselves in a European jewel-heist caper headed by Constantine, a Kermit look-a-like described as the world’s number one criminal. He is helped by his sidekick, Dominic (Ricky Gervais). Divergent: A thrilling action-adventure film set in a world where people are divided into distinct factions based on human virtues. Tris Prior (Shailene Woodley) is warned she is Divergent and will never fit into any one group. When she discovers a conspiracy by a faction leader (Kate Winslet) to destroy all Divergents, Tris must learn to trust in the mysterious Four (Theo James) and together they must find out what makes being Divergent so dangerous before it's too late. Based on the best-selling book series by Veronica Roth. Weekly Recommendation: Reviews haven't been great for Divergent, though Maria wrote about it's success at GWP. Similarly, Muppets Most Wanted hasn't been as well received as the last film, but it should still be a lot of cameo-filled fun. The Grand Budapest Hotel, however, has been near-unanimously praised. For good reason. It is brilliant. My own thoughts on the film are coming to GWP soon. This week I intend to re-watch Budapest and catch The Muppets. There will be a decent family line-up for the school holidays assembled, with Captain America: The Winter Soldier and Noah also likely to maintain solid takings over the period.